Knitting Pipeline is sponsored by my Longaberger home businessn and Quince & Co. Listen here or use the Flash Player on this site for current and past episodes. Flash Player is not compatible with Internet Explorer. Try a different browser like Safari. Or jaunt on over to iTunes to find the show there. This episode is sponsored by Quince & Co, where you will find 100% American wool yarn and responsibly grown plant fibers. Quince has recently introduced five new beautiful colors into their wool line: Boreal, Fox, Shell, Sage, and Nightshade. Find them at www.quinceandco.com. Knitcircus Yarns is an independent yarn shop/dye business in Madison WI. Love self-striping gradient yarns? You've come to the right place! Jaala, Knitcircus dyer, can't stop creating new colorways and innovative dyeing techniques. I am also a Craftsy Affiliate. This means that if you click from the Craftsy ad on my website and purchase a class or supplies, I receive credit for it. It is an easy way to support the show. Thank you! Ravelry: PrairiePiper Feel free to include me in your friends. This episode will include Events, Pipeliner Notes, Needle Notes, Book Notes, and In the Pipeline. Registration opened on Dec 1, 2015 and we are more than halfway full but still have room for you. Cornerstone Inn and Sleep Inn have room blocks. Do not book online as you cannot access the block of rooms. Call directly and ask for a room in the Knitting Pipeline Block. We have 40 rooms reserved. Thank you to everyone who has written to me recently and also to those of you who expressed birthday greetings. 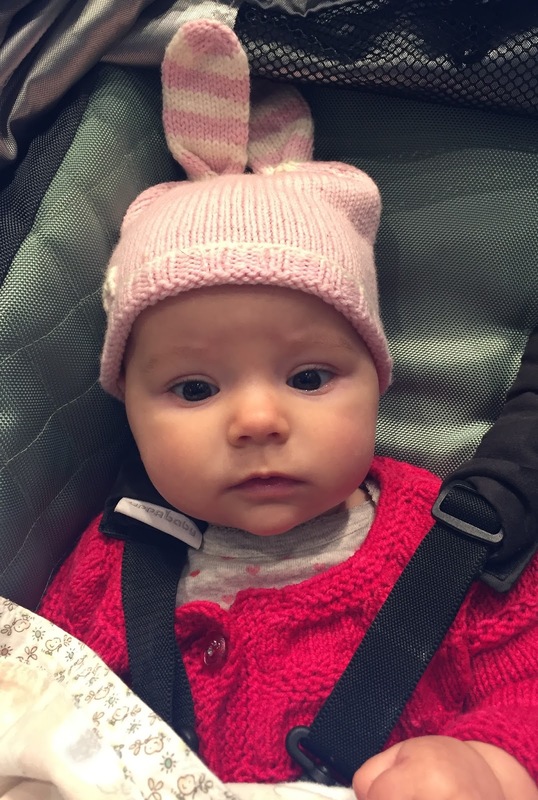 Elizabeth Doherty posted on Episode 229, question on why patterns are not always introduced as individual downloads. Hi Paula, I’m a bit behind on my podcast listening, so I’m sorry if I’m coming in late on this, but I wanted to reply to your listener’s question about releasing individual patterns from a book or collection—in this case my book, Top Down: Reimagining Set-in Sleeve Design. First though, I should point out that all of the patterns in the book are available individually. They were released in early September, about a month after the book came out. There are a few reasons why a publisher might wait to release individual patterns, and those that you cited were good ones, but there is another practical one: It takes time to reformat patterns. Not only do they need to be laid out all over again, but extra material such as technique notes and abbreviations that were grouped together in the back of the book need to be added to each pattern on an individual basis. After that, the patterns need to be tech edited, as if for the first time, because once you start moving text around there is a possibility of introducing errors. Hope that helps! We have added a suet feeder to the hook system that is mounted to our deck. We thought we could get away with it flying under the radar of the resident raccoons but that didn’t happen. After a few nights we awoke to see that the door of the suet cage was open and the suet was gone. My dear husband now brings the suet feeder in at night and he’ll try to do that all winter, as he does the hummingbird feeder during the spring and summer months. If any of you have a way to keep raccoons out of the suet, please let me know. The nuthatches were the first birds to find the suet followed shortly by downy woodpeckers, hairy woodpeckers, Red bellied woodpeckers, and (drumroll), Northern Flicker. 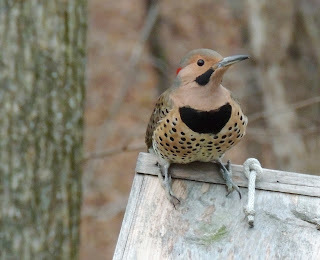 I give the Flicker a drumroll because they do not come to the seed feeders at all but they do like the suet. The Northern Flicker is characterized by its large size (bigger than the red-bellied but smaller than a Pileated). The Flicker has a triangular shaped red patch on the back of its head and a black bib on its mostly brown body. Northern Flicker on its way to the suet feeder. How did it get so late so soon? It’s night before it’s afternoon. December is here before its June. My goodness how the time has flewn. How did it get so late so soon? 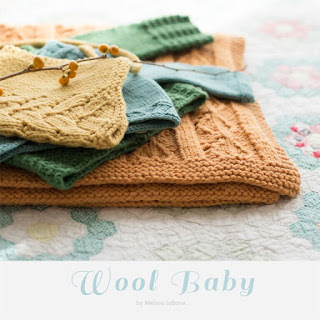 Wool Baby by Melissa LaBarre $12 4 Designs- 2 cardigans, a bonnet with lace, and textured blanket all in Quince yarn. I added one full repeat of the lace pattern so I could use the most of the gradient. It is a very subtle gradient but there is a lot of light/darker play in the whole thing which adds so much. This was such a pleasure to knit, both yarn and pattern. I also added a bit more garter at the end to use up a little more yarn. 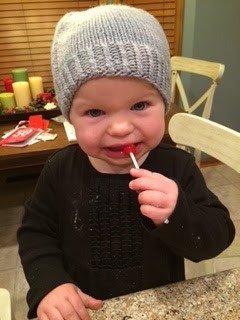 Duergar by Katya Frankel from Head to Toe: Kids’ Knit Accessories. Ribbing is on the sides and makes the hat swoop slightly to cover the ears better. Cute and different. I used Malabrigo worsted in Polar Morn colorway. Mittens to match with twisted rib on the cuff. Drawing for Wool Baby by Melissa LaBarre $12 4 Designs- 2 cardigans, a bonnet with lace, and textured blanket all in Quince yarn. TAnn (Teresa from Emporia KS) wrote Such pretty patterns. I love the blanket but I think I might have to knit Mae first. I like the rounded edges with the geometric/lace pattern. The color I think I would pick is Parsley, it is such a pretty green. Congratulations, TAnn! Please contact me and I’ll ask the good folks at Quince to gift the book to you. Thank you to Artisan Books for sending me a review copy! Susan B Anderson’s Kid’s Knitting Workshop $17.95 The Easiest and Most Effective Way to Learn to Knit! With 17 Cool Projects Kids will love. Not just for kids! I will use this book to teach adults as well. Very complete without being overwhelming. 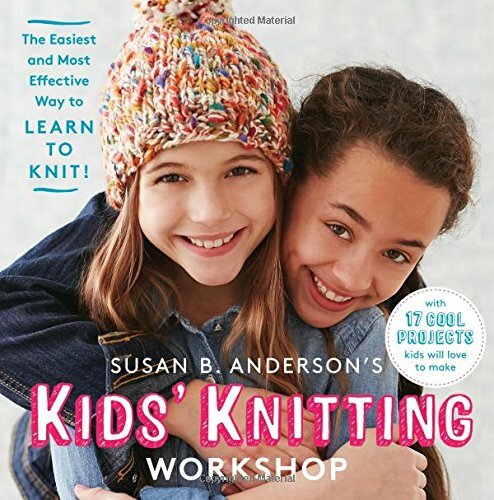 We are giving away a signed copy of Susan B Anderson’s Kids’ Knitting Workshop! Thank you to Artisan Books for the review copy and the giveaway copy. Please enter by leaving a comment in the thread in our Ravelry Group expressing why you would like the book or who you would teach. The winner will be chosen by Random Number Generator. Bebe in Sleep Sac that I dyed with indigo in the workshop at the Maine Retreat. Undyed sac was a gift from Karen of Seven Sisters Arts. I play the Great Highland Pipes, knit, observe nature, and read. My name on Ravelry is PrairiePiper. Find me on Instagram as KnittingPipeline. Now available to shops and vendors!